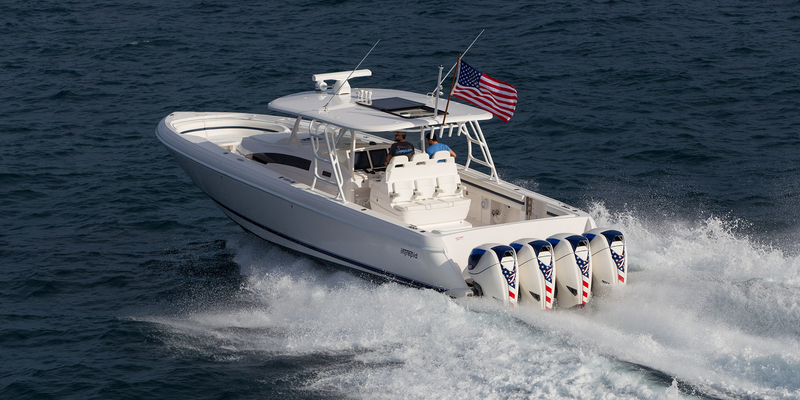 On the heels of its successful 44-foot center console, Concept Boats recently introduced the 3900, a center console powered by twin Seven Marine 557 outboards. Like the 4400, the new model has a large swim platform that accommodates swimmers and divers easily. An oversize hardtop provides shade for the helm and the bow and stern areas. 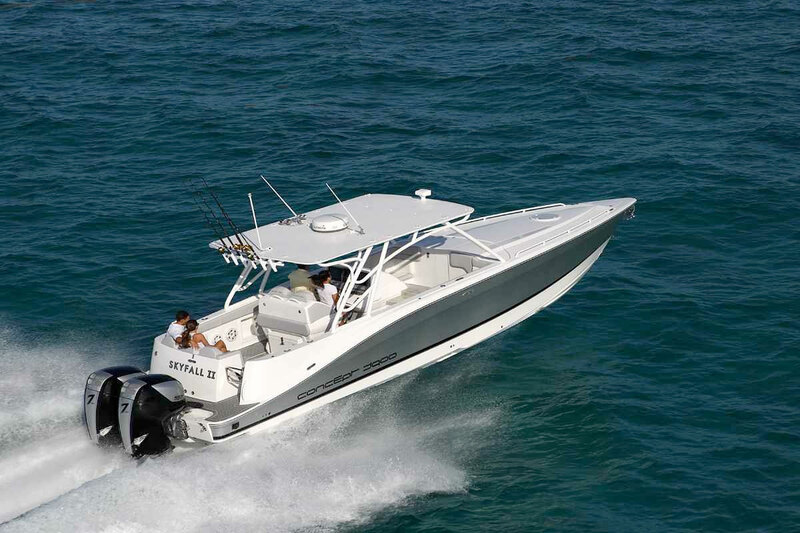 At the helm, side-by-side bolsters provide comfortable seating for the driver and a co-pilot to enjoy a poker run or offshore fishing excursion. Twin electronics screens provide all the information on engine performance and navigational position you could ever want. Forward to starboard, a small refrigerator in the passageway keeps drinks chilled. To keep passengers comfortable, forward of the helm seat is a wraparound L-shaped bench to starboard with stowage and speakers in the base. A faux teak walking surface covers the sole. Anglers will appreciate the aft side of the helm seat. You’ll find a tackle prep station with drawers, a cutting board, and a large-capacity cooler in the base. You’ll find additional stowage in the gunwales to port and rock lockers to starboard. 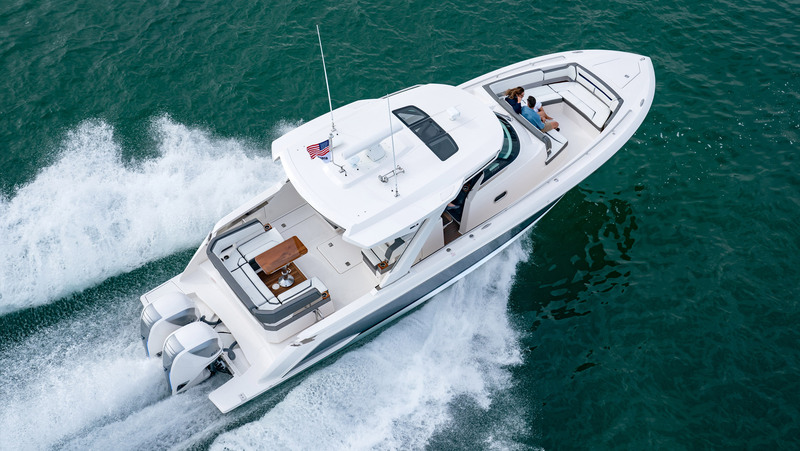 If you like to spend weekends aboard, the Concept 3900 could be your boat. The forward cabin has a nice V-berth with a private head that should accommodate adults comfortably. Much like the 4400, the Concept 3900 has captivated Concept owners and customers. 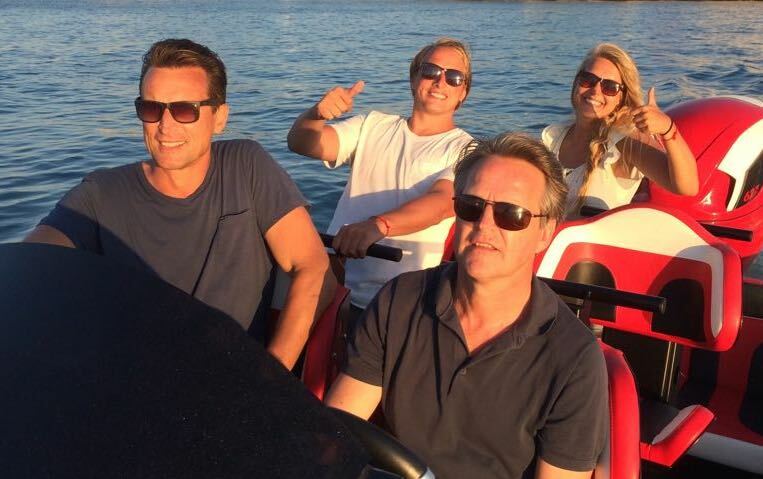 With the Seven Marine power, the boat is fast and efficient, and should turn heads.